I have been fortunate to have many kind and generous people forward their personal photos and recollections of old Manila in the last couple of years I’ve been writing this blog. They are from Manila or had worked or spent their formative years in our fair city. Their stories all seem to dredge up something we might have in common and thus we smile and look back fondly at those days. 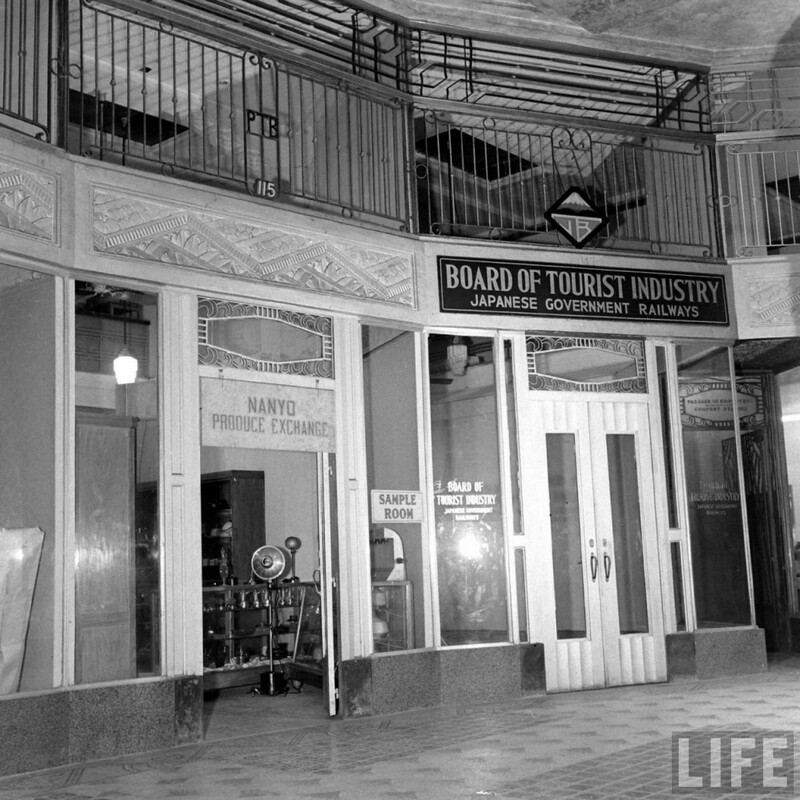 However, with the upcoming anniversary of December 7th looming ahead, I thought it would be worthwhile to present photos and stories of a monumental event that forever changed our city. 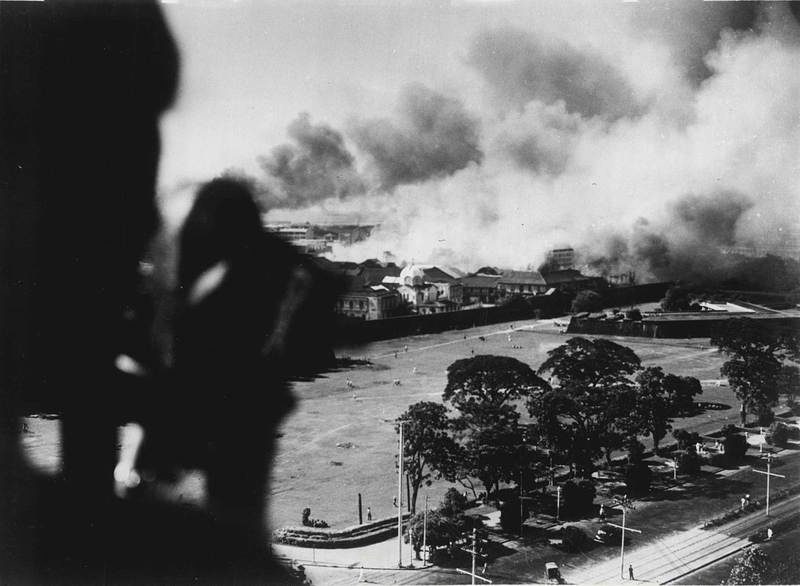 For Manila, the war started on December 8th, 1941. Manila was in a total state of high anxiety in 1941. The war in Europe was escalating and Japan was marching through China, leaving destruction in its wake. The United States had not been drawn into direct conflict as yet. The citizens of our Pearl of the Orient were all on high alert. The question on everyone’s mind was “Is it just a matter of time before Japan attacks us ?” The American High Commissioner’s office and the U.S. Army had shipped their dependents back to the mainland in the Spring leaving non-military American citizens wondering if they should seek haven as well. 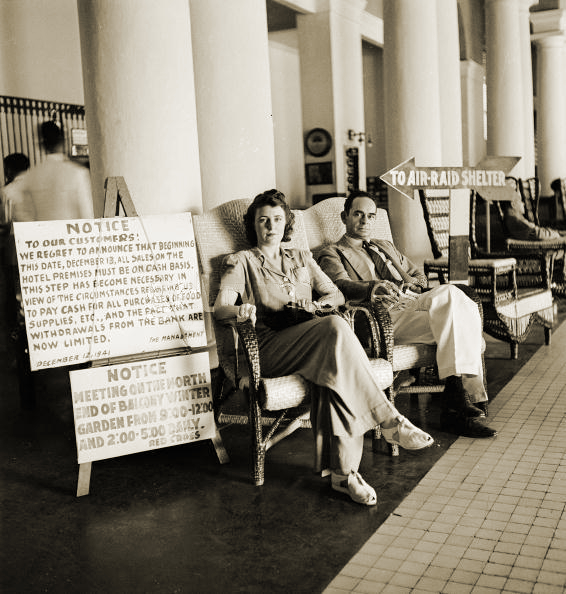 They were told “not to worry – Japan would never attack the Philippines.” As tensions in the Pacific area tightened, Americans seeking to leave were given the run-around. After all, this was the site of the mighty U.S. Asiatic Fleet – a line of defense that our enemies wouldn’t dare cross. 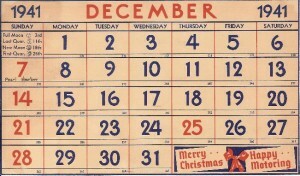 As the year drew to a close, Manila practiced air raid alerts and blackouts at night. No traffic was permitted during alerts. 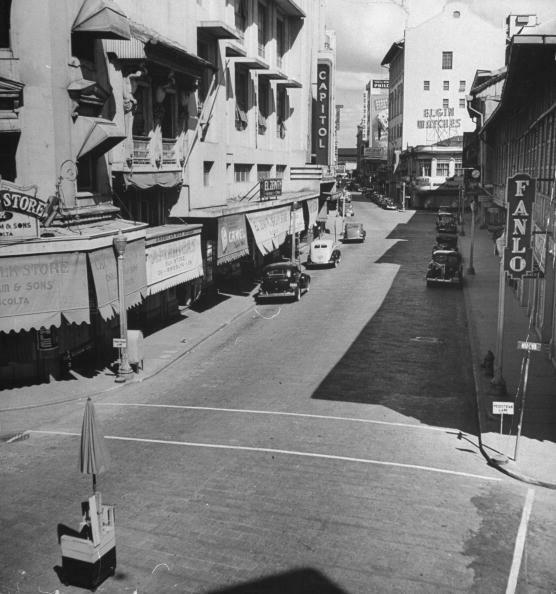 Below, a deserted Jones Bridge and Escolta. My mom, Carlota Busto y Zaragoza was a single young lady of 22 at the time, living with her mother, Aurora Zaragoza vda. 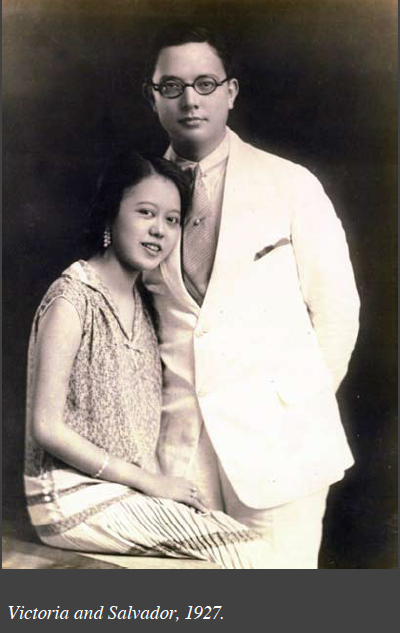 Busto and her brother Antonio Busto in the Sampaloc area. Her two sisters had gotten married to American navy officers and recently settled in the States. Her other brother, Ernie, had joined the Merchant Marines and was off on the high seas. 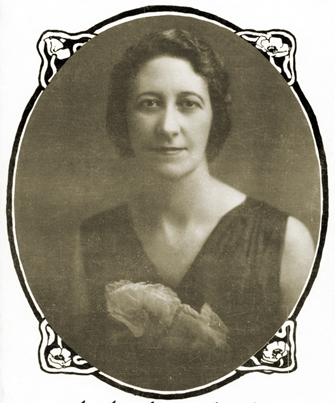 Carlota worked at a women’s dress shop on Mabini owned by an American lady. 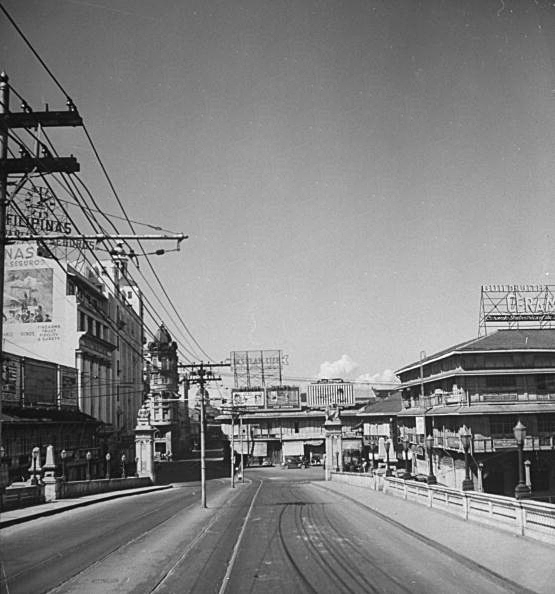 Mom would take the tranvia (streetcar) south to the Malate area to go to work, at times stopping at the Quiapo Church to go to morning mass before heading off to open up the shop for the day. 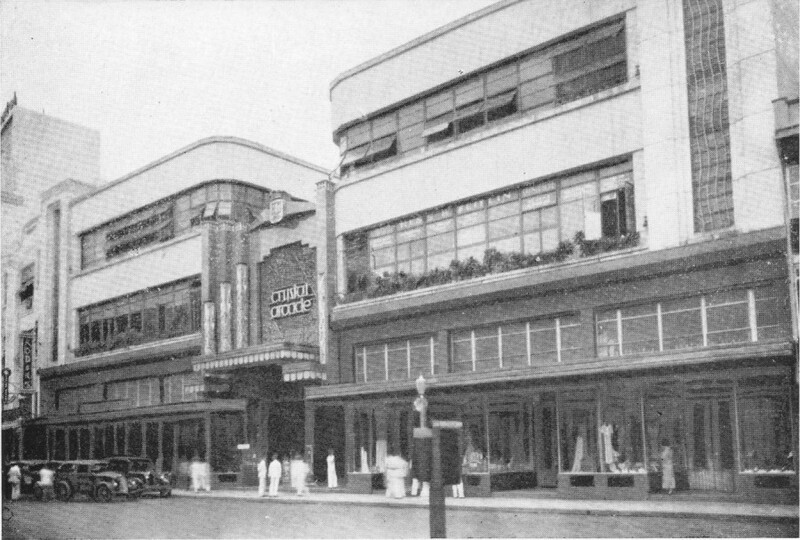 My dad, Gopal, was an Indian national, who had an import-export business in an office at the magnificent Crystal Arcade, Andres Luna’s art deco masterpiece on the Escolta. 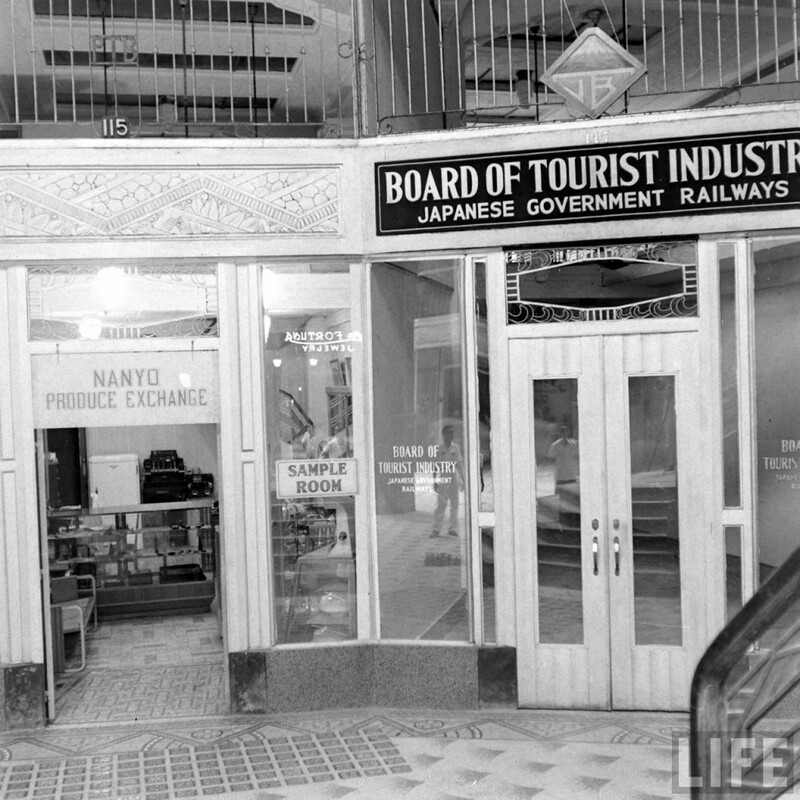 He would pass by a couple of offices managed by the Japanese Board of Tourist Industry on his way to work. On that Monday, it seemed strange that the Agency’s office was still closed as during the past year, there seemed to be quite a lot of activity within. Shizuko Ushiroda was born in Manila. She was a hojin; the name for Japanese nationals in the Philippines. 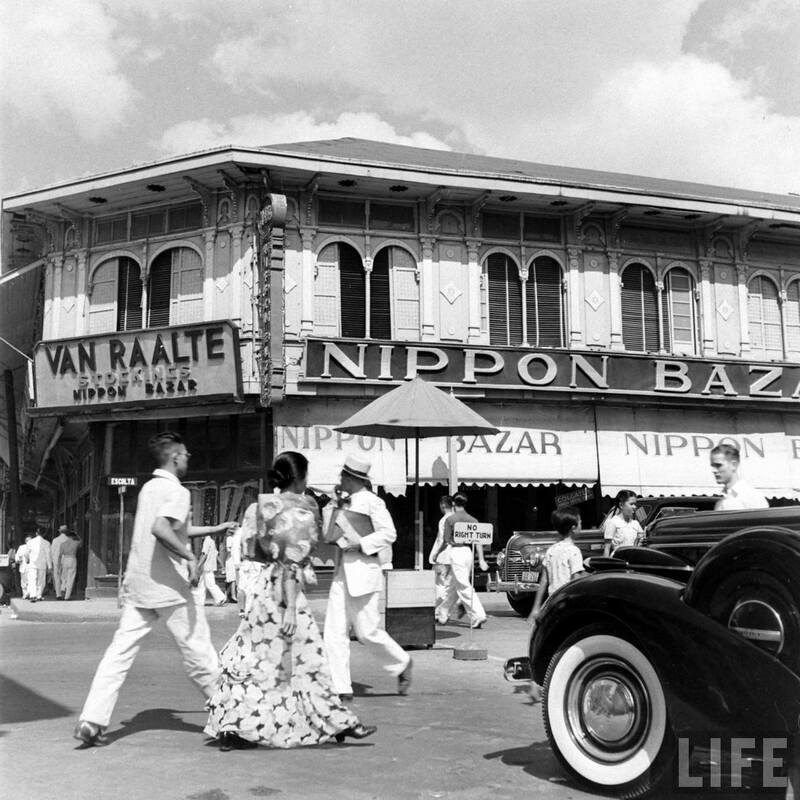 Her parents settled in Manila with Shizuko’s older siblings, sister Haruko and brother Toshio. Tragically, her mother Kiyono died during childbirth of the fourth child who also died. The children were raised by her father Mitaro, who had a general store in Manila. 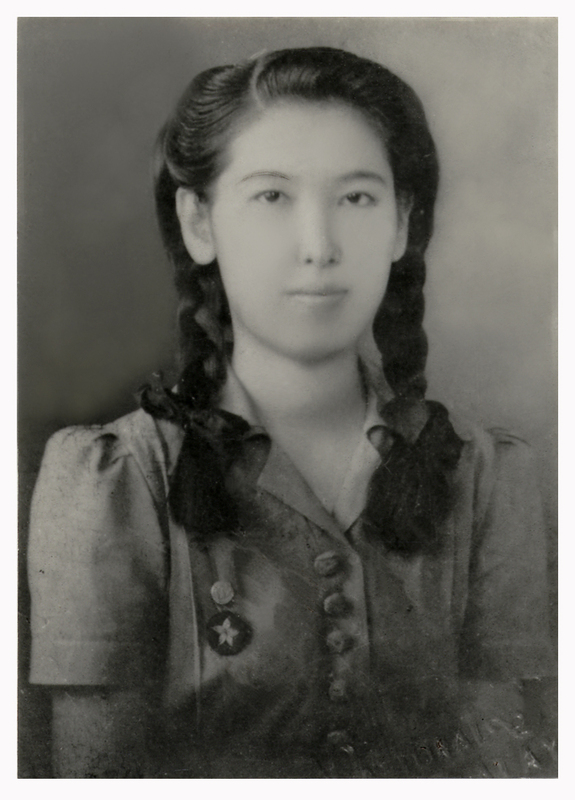 Shizuko and her three sisters attended the Japanese National High School in Manila when the Japanese attacked. 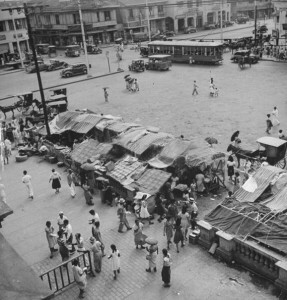 When Manila was occupied, she and other hojin were conscripted by the Japanese Army. Shizuko went to work for the Department of Security and Order with the Kempei-Tai Military Police. She was quite conflicted with divided loyalties because some of her best friends were Filipinos and yet she had to honor her heritage. One would think there were many in her position. Read her story here. There were almost 5000 hojins living in Manila at the time. Some, like Shizuko’s father, owned retail stores. 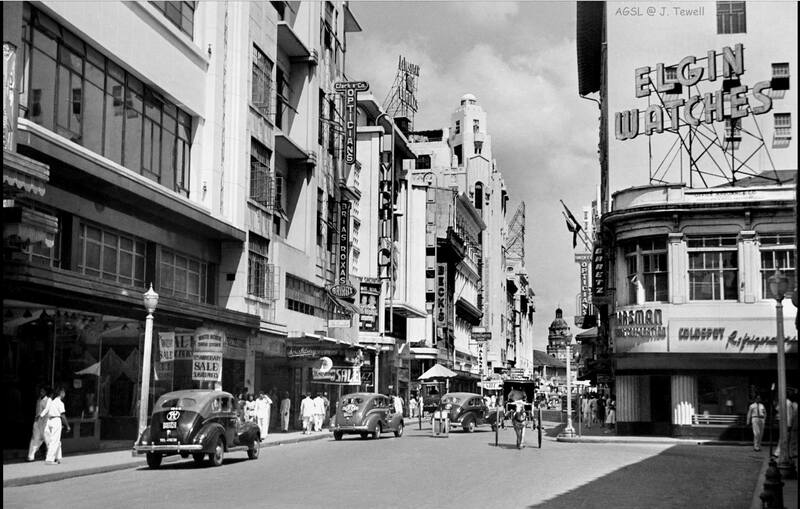 Some worked as gardeners, elevator operators – they were part of daily life in Manila. Some were also working as undercover spies for the Japanese government. 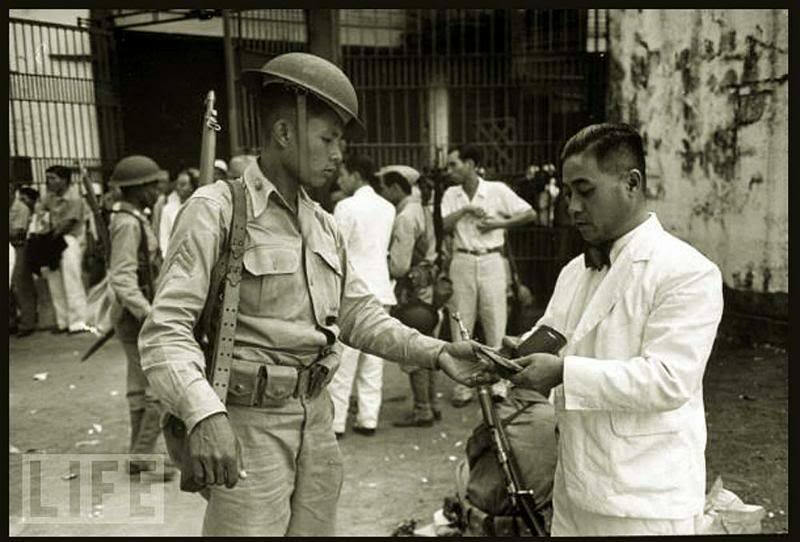 They would later be recognized during the occupation, now appearing as officers of the Japanese Army or Kempetai. 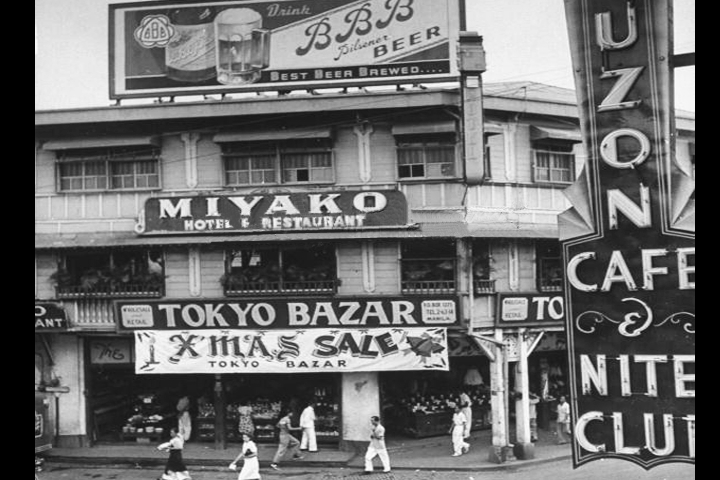 Looking back, this photo of the Toyko Bazar with the Xmas Sale sign taken in December, 1941, seems slightly ominous. 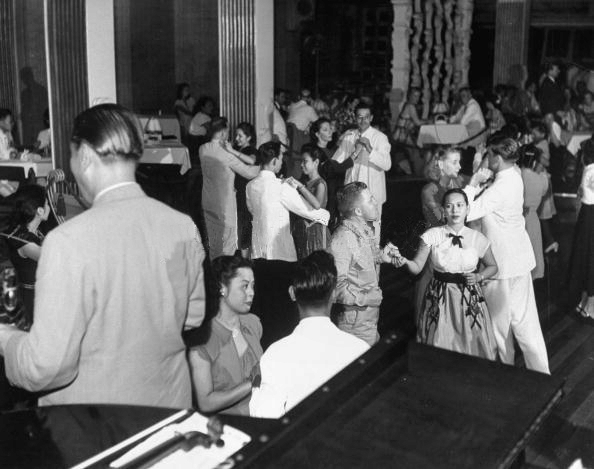 On the evening of December 7, 1941 a loud party was underway at the Manila Hotel’s Fiesta Pavilion. Major General Lewis Brereton, commander of Army Air Forces in the Far East was attending a party thrown by the 27th Bomb Group, recently arrived from the U.S. ahead of their planes. 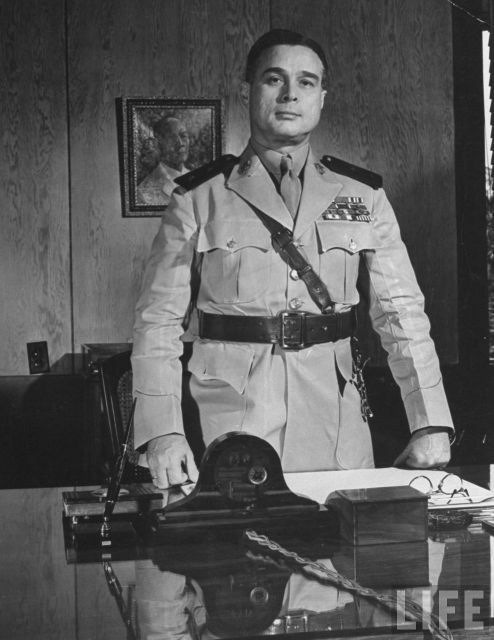 “At 6 a.m. General Sutherland phoned me that the Japanese had treacherously attacked Pearl Harbor at 5 a.m. and consequently the U.S. and Philippine Forces were in a state of war with Japan. I notified by phone all the members of my General Staff. Rushed to the office. At 9 a.m. 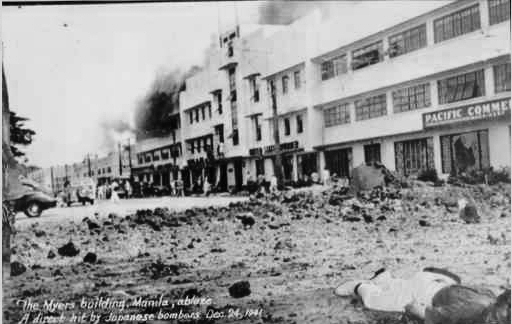 I received news that Japanese planes had bombarded Davao Harbor and Airfield, destroying them. At 12.20 p.m. the Air Raid alarm was sounded. Japanese planes bombarded Clark field killing and wounding many and destroying 17 bombers and other smaller planes. At 4 p.m. Japanese planes attacked the Airfield at Iba Zambales, destroying some U.S. Army planes, and killing and wounding some soldiers. 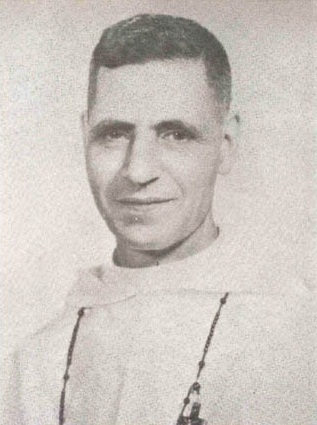 Maj.Gen. 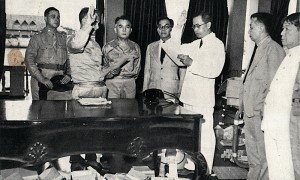 Valdes and President Quezon shown on the left shortly before evacuating to Corregidor. 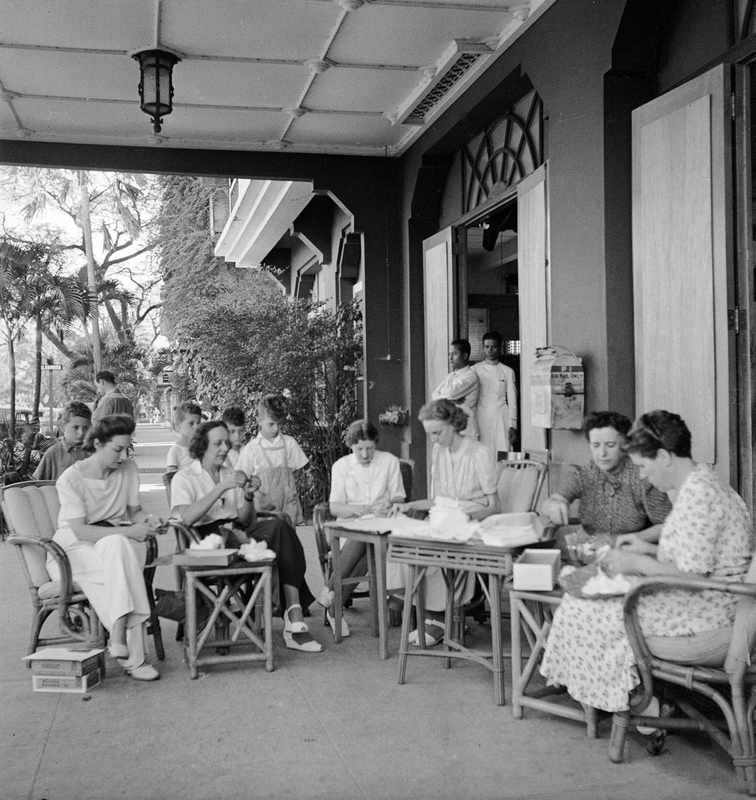 Mothers and their children in front of the University Club. Before noon, a large number of high flying Japanese planes bombed Camp John Hay, Clark Field and Iba air facilities. 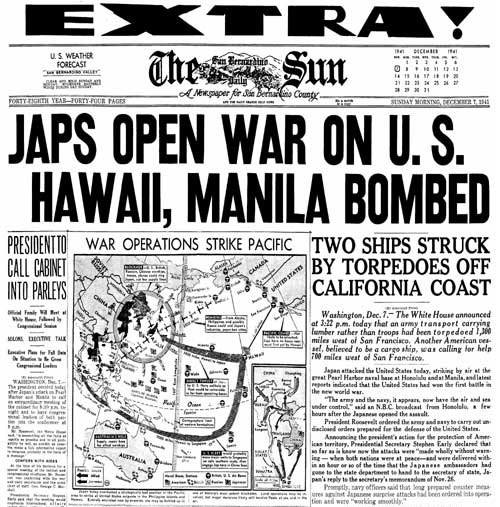 Late in the afternoon, a radio news alerted that there existed a state of war with Japan was announced by U.S. President Roosevelt. One of the unforeseen consequences of the attack was a run on the banks. Credit cards were non-existent; most people established accounts at their local grocery or retail store. This is an account of Victoria Lopez de Araneta of that day. “On the morning of Dec 8, 1941, Victoria and Salvador Araneta were in their bedroom in Victoneta, their mansion on Shaw Boulevard , dressing for a cousin’s wedding. Unexpectedly a maid entered the room and said Ramon Roces, the publisher and good friend was downstairs asking to speak to Salvador. When he returned he announced, “War has started !” then continued to dress and they left for the wedding. The ceremony proceeded as normal, but at breakfast “everyone was uneasy with the news having gone around.” Victoria was anxious to leave and get to the bank. She knew the banks would be besieged with customers who, like the Aranetas, tended not to keep money at home, instead buying groceries and other items on account. 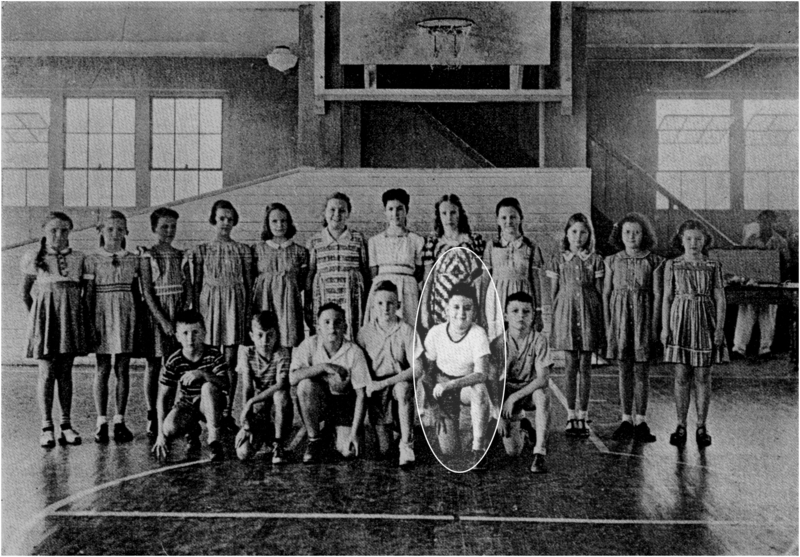 A friend of mine who also attended the American School, Martin Meadows was almost 11 at the time. He shares this memory: “It was Monday morning, and I got up to get ready for school; then I went into the living room to turn on the radio as I always did, while waiting for breakfast. Of course the news was all about Pearl Harbor, so I went to tell my father, who was in the bathroom shaving (my mother was getting dressed to accompany him to his office; she was in charge of the office, while he was out drumming up sales of office equipment). My dad couldn’t believe the news, so he came out to hear for himself. Breakfast was a pretty grim affair, and then they took me to the American School before going to the office. Not many buildings in Manila had basements due to the high water table but undoubtedly, buildings offered more protection than bahay kubo. People started piling sandbags around entrances for protection. 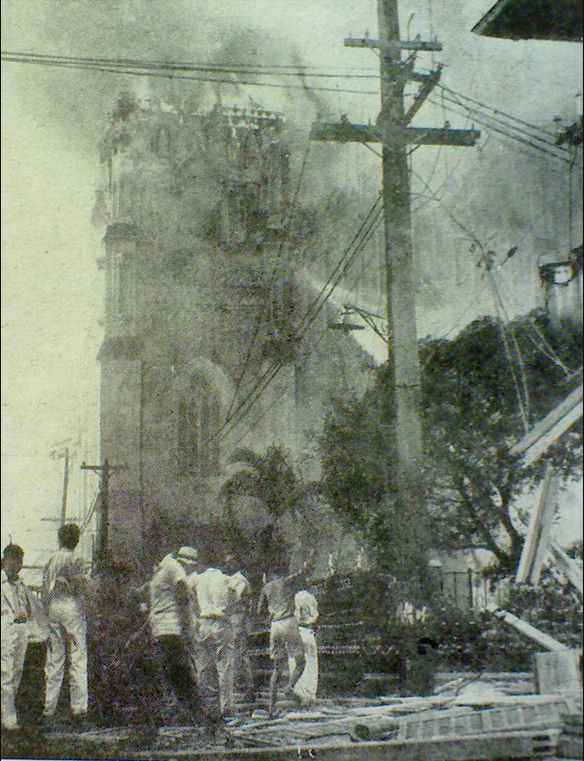 Santo Domingo Church in Intramuros, one of the oldest and most beautiful churches in Manila was totally destroyed. On the airfield, however, there was great devastation. Buildings and wrecked planes billowed thick black smoke and flames into the air. One bomb struck next to the Pan Am Communications Center, killing its civilian operator. Around 11 AM, units in bivouac were directed to move into dispersed assembly areas under the cover of trees. Company commanders were ordered to reconnoiter positions for defense against possible Japanese airborne landings. 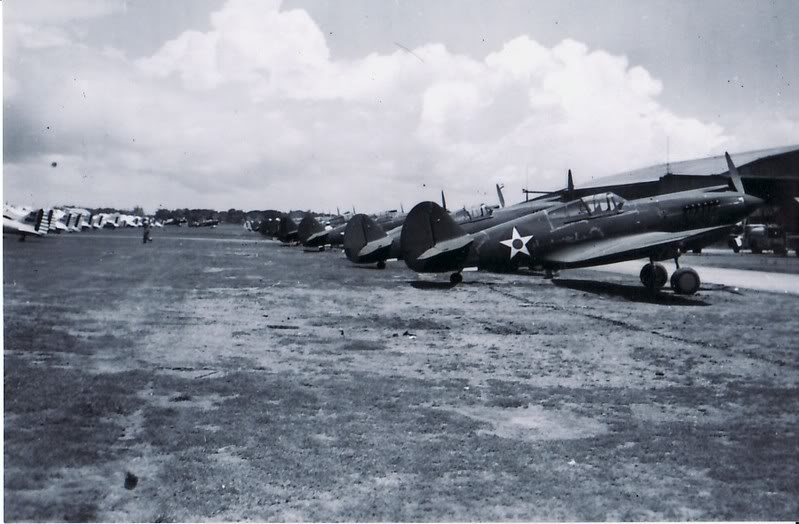 The series of raids caught most US planes on the ground, destroying the 19th Bomb Group’s B-17s at Clark Field and practically wiping out the P-35 and P-40 pursuit fighter squadrons based at Clark, Nichols, Del Carmen, and Iba Fields. “By midmorning, we were taken aback by American soldiers installing a big anti-aircraft in front of Letran College. Two of the soldiers, soiled and emaciated, with their rifles hanging, approached me asking for confession. I invited them to the chapel. They knelt without putting down their rifles. After hearing their confession and giving them communion, I asked them to take a cup of coffee. They said they came from Clark Air Base. The night before and early in the morning, the Japanese raid had caused enormous destruction. They could not tell how many American planes were burned or how many pilots, mechanics and officers were killed. Casualties were heavy on their side. They were scared, but they left Letran physically and spiritually relieved.“ Juan Labrador, O.P. 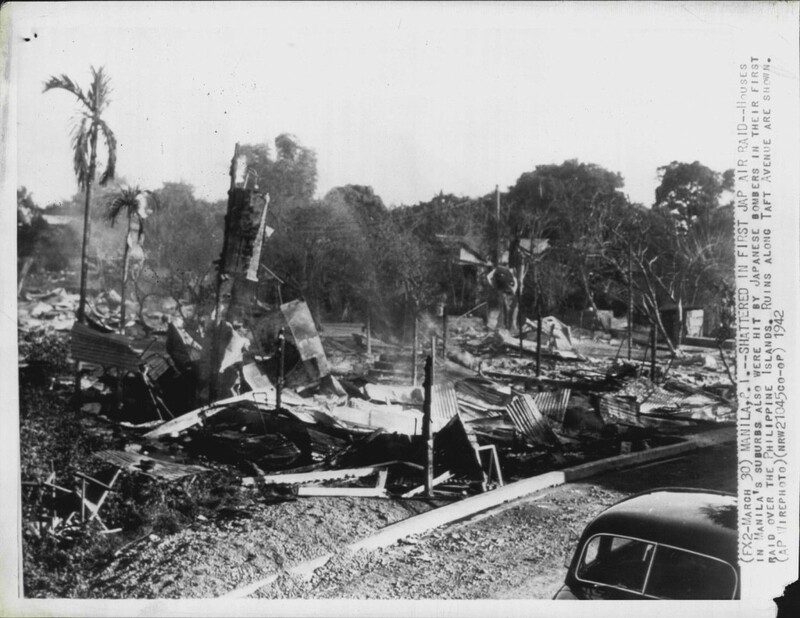 On December 10, Nichols Field was bombed again. Cavite Naval Base was also bombed that day, but most of the US Asiatic Fleet had already departed for Australia. Two submarines still at the dock were sunk and over 200 torpedoes stacked on adjacent docks went up like Fourth of July fireworks. Several hundred miles to the north, 4000 Japanese troops landed at the small port of Aparri and began moving inland against light resistance from ill-equipped Philippine Army units that had only recently been formed. 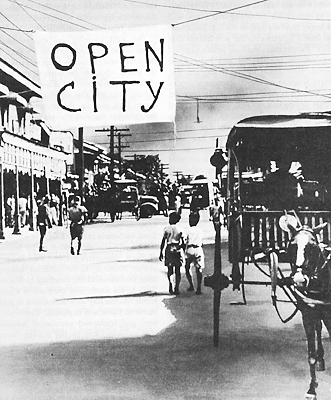 Quezon sought to spare the civilian population from Japanese bombing by vacating military bases in the city so that there would no longer be legitimate targets there. Under the Laws of War, an open city is not to be attacked. The Japanese ignored the declaration, claiming that not all military defense had left Manila. 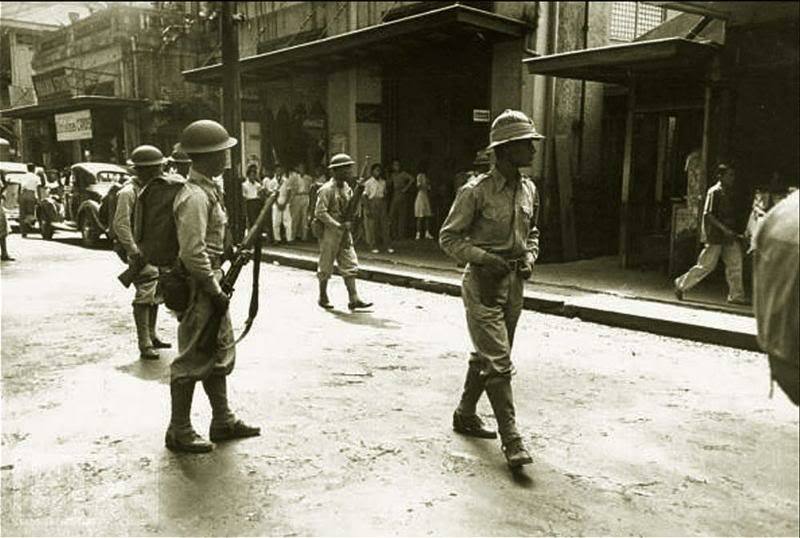 In fact, an emergency police force that included the 31st Infantry’s B Company remained, augmenting the 12th and 808th Military Police Companies, the Philippine Constabulary, and the city’s police force to keep order. 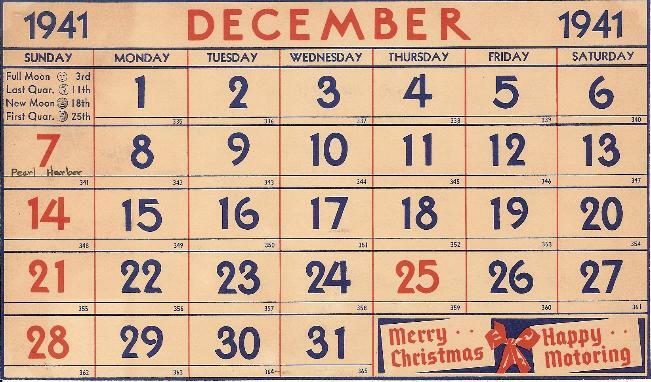 After spending nearly three weeks in the Luneta area along Manila Bay fruitlessly guarding against Japanese paratroop landings that never came, the rest of the 1st Battalion boarded barges before daylight on Christmas morning, heading for Corregidor, the last bastion of defense. 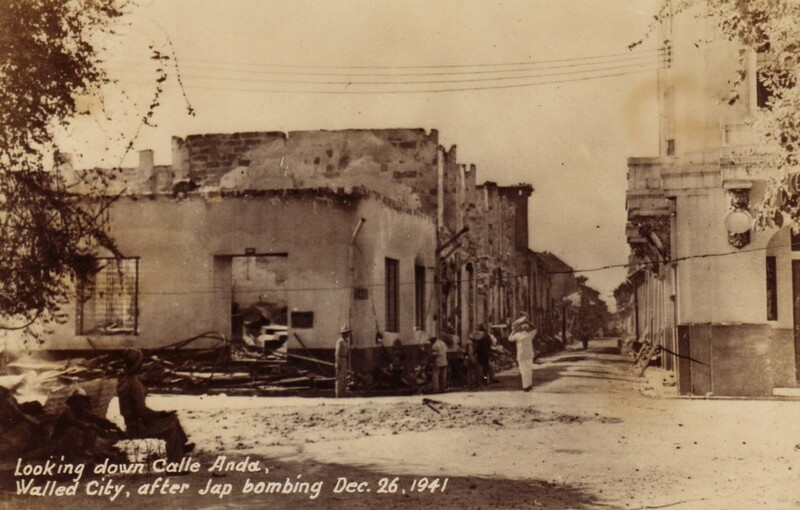 More photos of destruction caused by Japanese bombs. Warehouses along the South Harbor were opened up. 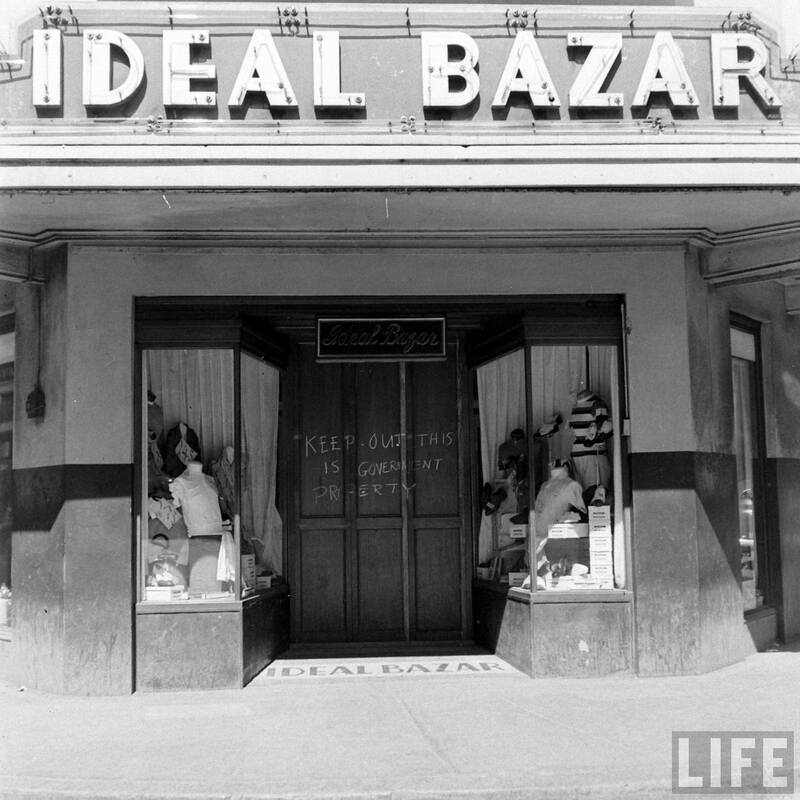 People were encouraged to take whatever they needed to prevent stores from going to enemy hands. 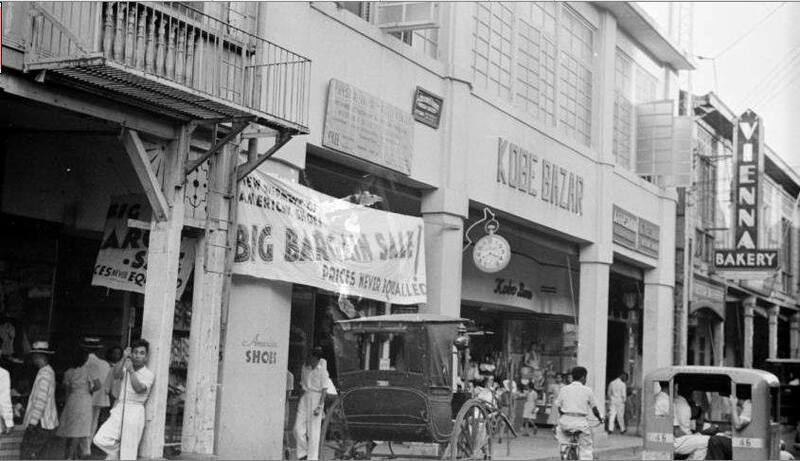 A carnival of looting ensued and after the warehouses were emptied, the mob proceeded to loot the Japanese bazaars in Escolta and Quiapo areas. It was fortunate that prominent members of the American community had organized into a committee called “American Coordinating Committee” early in the year to plan contingencies in the event of war with Japan. 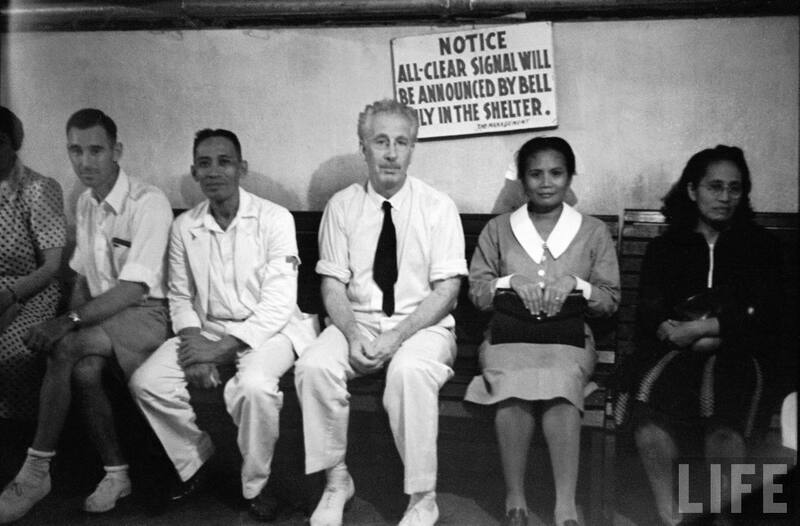 Meeting with a representative of the High Commissioner’s office, Claude Buss, a plan had been prepared to address issues such as air raid shelters and evacuation centers, storing food, clothing and medical supplies. 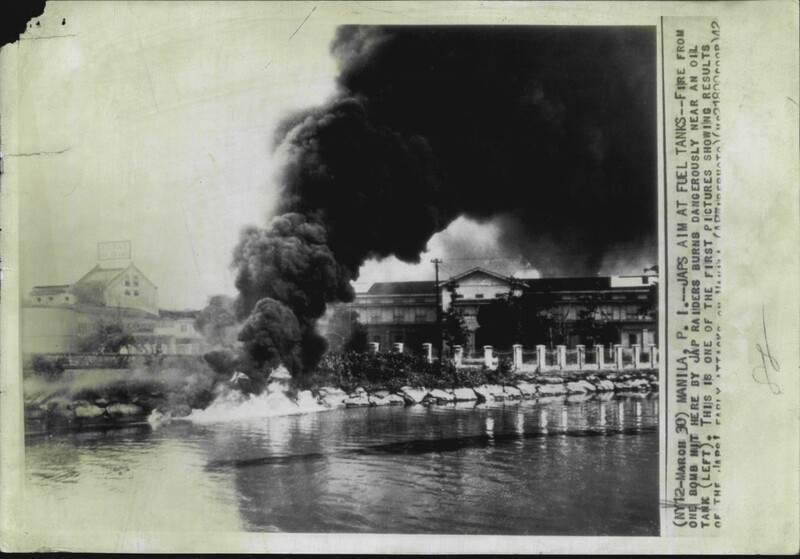 The attack on December 8th caught everyone by surprise however and with the news of the Japanese army advancing on to Manila, the immediate concern was to determine a site large enough to house the American, British and other Allied nationals as a place of internment. 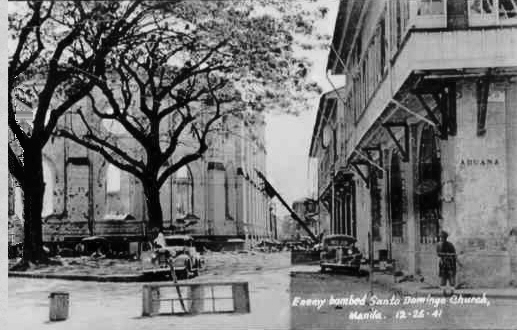 The site chosen was the University of Santo Tomas. The internment camp would eventually house over 4000 people for a little over three years. For more information about the Santo Tomas Internment Camp, click here. I dedicate this article to our parents and grandparents who experienced this awful period in history. 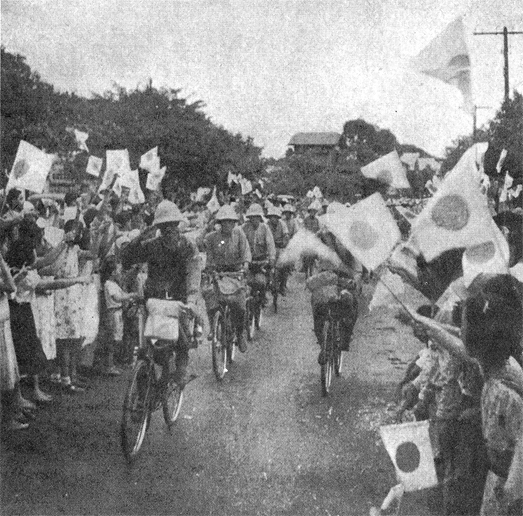 The Japanese occupation was not welcomed by the Filipinos as the Japanese had anticipated. Their “Greater East Asia Co-prosperity Sphere” concept had no one fooled. It was an obvious ploy for Japan to rule the Pacific Rim. Sadly, it took over three years, mass destruction of the city and over a hundred thousand lives to evict them from our Pearl of the Orient. It was to change the landscape and the minds of Filipinos and Manila residents forever. Note: I have now added another feature to my blog which has been requested for some time. You can now print this article (with or without photos) or save it as a PDF file on your computer. Look for the “Print Friendly” icon on the menu at the top of this article on the right hand side. The Archipelago’s dark years for survival ruled the day. A grand aunt once told me ” pray that you never experience war for it brings out the savages among men” Thanks again and again, Lou! Lou, I really enjoyed you article, along with the photos. Very informative and wonderfully written. Thanx so much. Your article evoke deep emotions that will help todays generation to understand why history matters. An essential read for young people like me that sometimes wonder why on earth does it matter to know what happened long ago. This is a good remedy to remind people to embrace our history. “People who feel themselves to be rootless live rootless lives, often causing a lot of damage to themselves and others in the process.” Salamat po! Thank you for writing this, I could now understand the fear of my parents and all who experience the war! Thank you Angie for sharing your story. You must have been so scared. Mom used to tell me stories about the war. 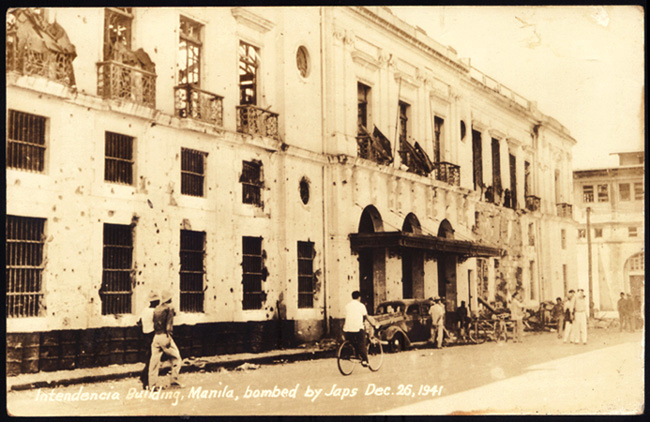 I could not quite take it all in until I saw pictures of the devastation of Manila. Yes, I am also glad I wasn’t born until 1945. Merry Christmas to you and your family, dear Angie ! Ms. Gutierrez-Frey, I discovered Lou’s blog only yesterday, and with a lot of excitement. 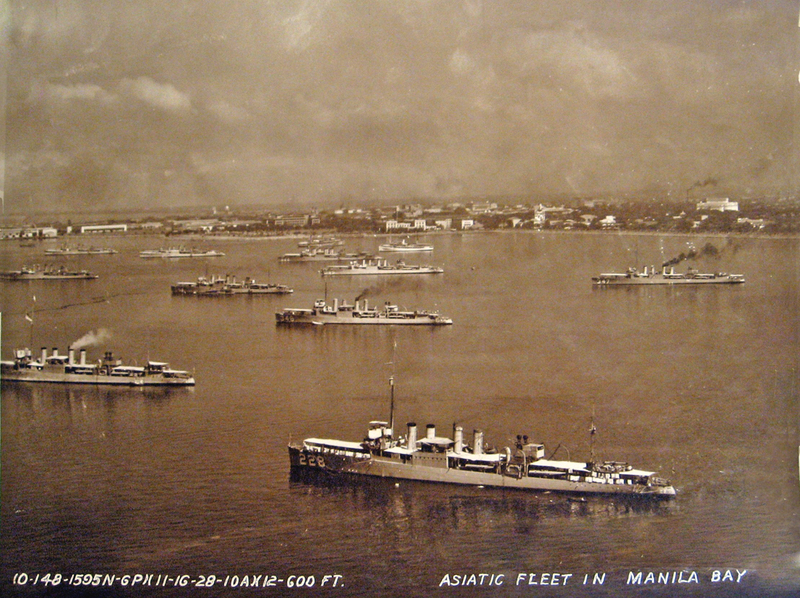 I am at the moment writing a book about my parents’ childhoods lived through WWII in Cebu and Manila. My dad, Ben Ramos, lived in Northern Hills at that time. It’s amazing that we stumbled upon your comment above, because included in my manuscript is mention of the Gutierrez family who, according to my dad, had fled from Taft Ave., Manila, to Northern Hills for safety. One of the family members had married Frank Shearer of German descent whose sister, Elsie Shearer, lived in Northern Hills. 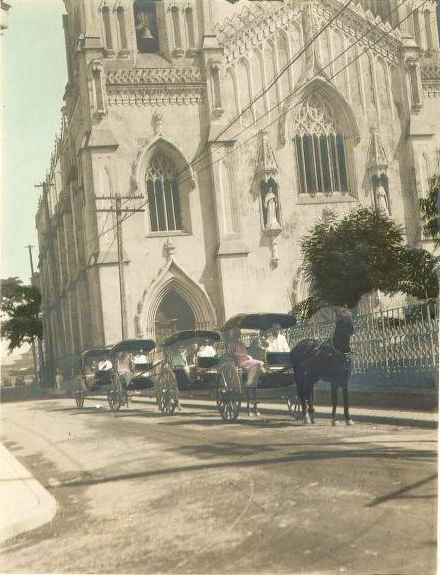 They suffered quite a bit during the risky plight from Manila, pushing their possessions in a wooden cart. My dad also remembers that a brother & sister, who were not Gutierrez’s, had linked up with the family. Their parents were captured and killed by the Japanese, and these two siblings were able to escape. Upon reading your post, my dad was stunned. Here we were writing about the Gutierrez family’s plight…and then we stumble upon your post! If you are, in fact, one of the Guitierrez’s my dad knew in Northern Hills, one of the questions that have had us puzzled was how you were able to cross the Pasig River at that time, since Manila was being massacred. To my dad’s family’s knowledge, the bridges across Pasig had been destroyed. We’ve been wondering about that. (My dad also says that he was good friends with Nening, one of the Gutierrez daughters.) If you would, please email me at thepearlwriter@gmail.com. Thank you and God bless. — Celeste Fernandez. I have always liked to look at old photographs of the Philippines even if I was born in the 60s. It is in interesting time for me as it shows me a time when things seems to be more “innocent”. Thanks for sharing and I hope you keep publishing! Thank you for the memories my late parents and kin would have cried over thinking of all their other relatives and friends who perished during the war. If you happen to have WWII photos about or taken in Taal, Batangas, where I come from, please have them publicized too or email to me. My mother and her sisters were thought a Jap song. I remember some lines: “miyuto okaino surakiti tente lose kire yatuto wagani puuno okorinari….” In Okinawa, Japan on a scholarship in 1992, i sang the lines above though more complete and whose meaning I still did not understand, but an old Jap sensei asked me to stop at once and said the song is no good. I was not yet born at that time but reading history, I could say that that was one of the most unforgettable years in the Philippines. I’m glad we have friends like you who write such an article. It reminds me of my parents who used to tell us stories of what happened during the war. And they also said you would not like to experience such an event. I know that this article must have taken a lot of your time and effort to finished, again thank you. Thank you for your very kind words, Mike. Maligayang Pasko ! my parents were in Cebu then and I recall them telling us stories about the war. 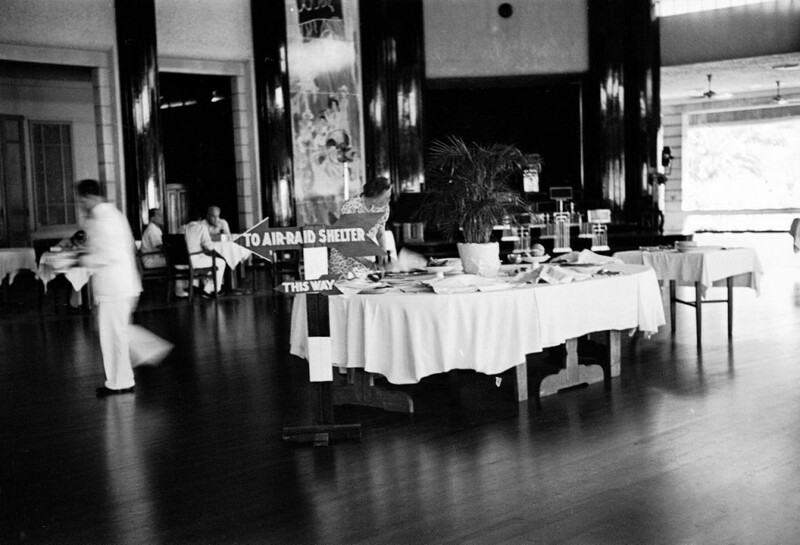 the next time I,m in Cebu, i’ll dig up some pictures taken during the jap occupation as well as the liberation. Hi Jimmy, that would be great. I’d love to see your photos ! Merry Christmas my friend ! As always, an excellent presentation, professionally done, clear and impactful. You have accomplished what you set out to do, again. The initial Japanese attack on the Philippines in December 1941 signaled the commencement of three years of complete anguish and vicious mortality inflicted on the people of the islands and the end of a way of life never to be seen again. Thank you for your research and for your efforts. Thank you for your very kind comments Ted. You have been such a tremendous help to me in the past providing me with personal information and photos of old Manila. Best wishes to you and Diane and the rest of the BACEPOW group for a Maligayang Pasko ! Thank you Lou for the great heartwarming stories of what Manila was before it was struck down in ruins. My maternal grandfather, Anastasio, worked for Meralco as a lineman. I was barely 3 years old that time and the Season that was to be celebrated was always festive and with a lot of food on the table, including a leg of ham, which was quite a luxury in that great time of need. I will never know how that happened or made possible but my grandfather ran his caretela, horse and buggy, after work with Meralco up to 10 pm to make a few more bucks. 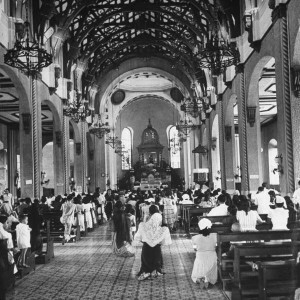 The family had a place on Calle Maypajo in Blumentritt, Sta Cruz, Manila and other relatives were settled on Calle Misericordia. 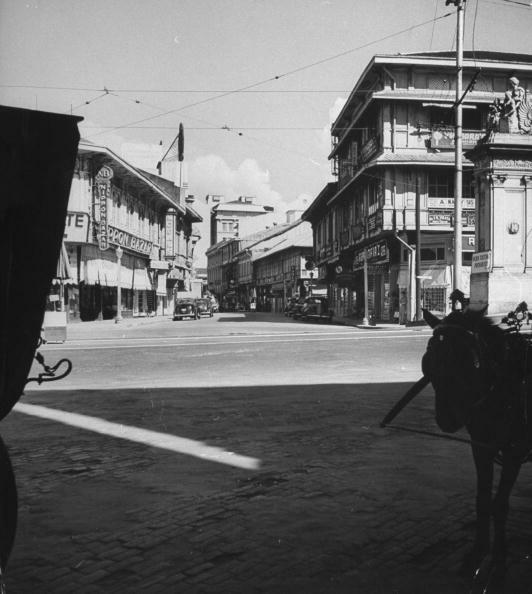 Mother was born in Binondo and had always considered herself a Manila girl but married my Tatay, who was from a farming family, just across the San Francisco river when my maternal grandfather bought a piece of property at the first subdivision in Quezon City that was San Francisco del Monte for just 11 cents a square meter. A visit to the Botanical garden and short Tranvia travels between Blumentritt and Sta Cruz were part of the excitement and distant memories of my childhood. It was in these locales and places where I would briefly recall the time of plenty with both my maternal and paternal families and also suffer the cruelties and times of want and deprivation ushered in by the war. 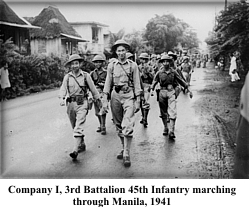 My father and other relatives had joined the guerilla movement and was captured in a zoning operations by Japanese Kempetai at Kaingin, then a sitio of Caloocan, about end of June 1944. Tortured and imprisoned at Fort Santiago and suffered death there along with some 3000 other prisoners from elsewhere when the Japanese released all POWs to mask the war crimes of Gen Yamasita, December 1944. Both Sta Cruz and Sampaloc districts provided refuge and shelter for many relatives even as food was running out and it is in these places where my mother would go from house to house just to get a litlle bit of “am” or that soupy concoction just before rice boils down to cook, to feed my baby brother, born June 20, 1944. For sheer survival, my relatives would seek refuge in Laguna and Nueva Ecija for food and shelter as Manila was reduced to rubble and became a place for great scarcity and want. I bounced from one relative to another in the tail end of that war. Andy, thank you so much for writing and sharing your very poignant story. I’m saddened to read about your father and of course all the people that perished during the Battle of Manila and within the walls of Ft.Santiago. You write so eloquently, you must find a way to describe your family’s experiences in a book. Best wishes for a very Merry Christmas to you and your family. I have updated the article to include your link. Thank you ! Thank you so much for posting this item on the Japanese occupation of Manila and the war that brought about so much damage and the loss of so many lives. From that moment on, Manila would never be the same again. 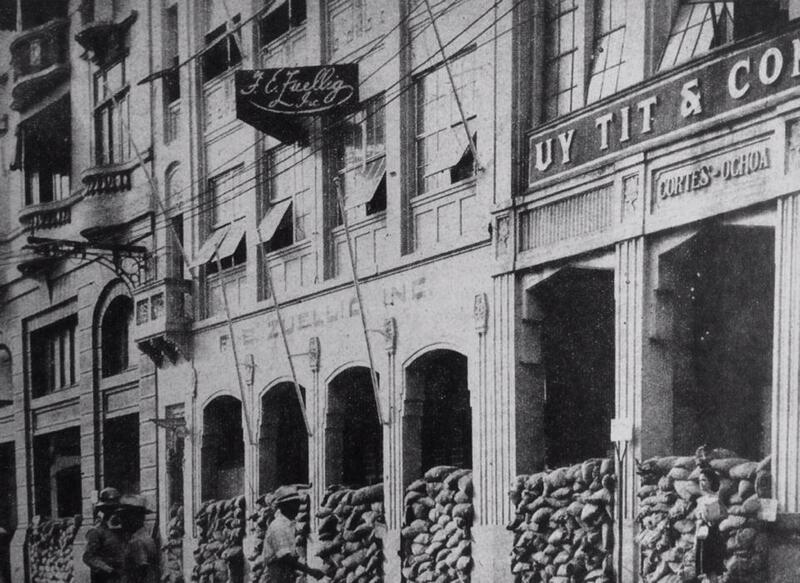 We were unable to rebuild the glorious past that was Manila before the war. Yes, it was indeed the ‘Pearl of the Orient’ … now in the distant past, a lost memory. Sad to see that what we once had is now merely in photos. You really managed to capture the fear and apprehension .. I was literally spellbound and read every single word with trepidation and also sadness. Qué triste! Beautifully written .. keep it up historian primo! Wonderful telling of a dramatic and difficult time. Great job! Wonderful! I recall my father’s stories about pre-war and the war. Another wonderful post, Lou. How do you do it? You’ve captured slices of histrory from the home country that would otherwise be forgotten. More power to you. And best for the New Year. I accidentally stumbled across your blog. My grandparents were Salvador and Victoria Araneta. Thank you for sharing your photos and stories. Lou, Another wonderful article. Thanks for the memories. thank you for your wonderful blog. As I was only 3 years old when my family entered Santo Thomas Internment Camp my memory is vague. Your account of those awful times make me so grateful that we survived. Those you have never experienced war s do not understand how we all made – sadly some did not and those persons are always in our memories. Thanks. 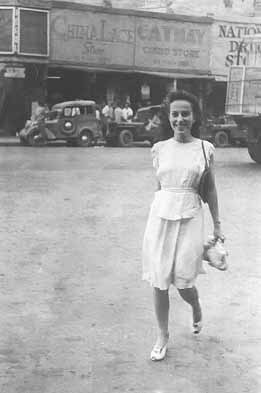 Thea Crovat Gibson – internee in Santo Thomas during this frightful time in our history. I enhanced and sepia added those colors and the photographer was Carl Mydans.